Each and every month here on Bill Gassett’s Massachusetts Real Estate News website, we highlight some of the best real estate articles from the month. 2017 is off to a blazing start and there has been a ton of great real estate content. Picking this months recap of the best real estate articles from February and end of January was very difficult. In this months recap of the top real estate articles, you’ll find helpful articles for buyers, sellers, and also for other real estate professionals. Read on and enjoy some fantastic recaps of some of the top real estate articles from the past month! It’s extremely important for home sellers to make sure their kitchen is being presented in the best possible way. This may mean that their kitchen should be staged. Kevin Vitali, a Tewksbury MA Realtor, has written an awesome article discussing the best staging tips for kitchens. By following some of these actionable tips, a homeowner improves the chances that they’ll maximize the profits from their sale. Have an up coming open house? Want to make sure you will impress all that visit? Take a look at DJ Morris’s excellent article on how to stage an open house! DJ provides eleven exceptional tips that are sure to make your next open house a flying success! Congratulations, you’ve been pre-approved for a mortgage! Just because a buyer has been pre-approved for a mortgage does not mean they’re guaranteed to receive the funding for their home purchase. There are actually several ways a pre-approved home buyer can lose their mortgage! Bill Gassett discusses in this article 14 ways to get a mortgage approval taken away. Buyers who change jobs, forget to pay credit card bills, get divorced, or neglect to pay their rent are all at risk of losing their mortgage pre-approval. These are 4 of the 14 ways a buyer can have their pre-approval revoked that Bill covers in detail in his article. As Bill metions, one of these mortgage mistakes can also get your final mortgage approval taken away right before closing as well. As you can imagine, selling a luxury home is not the same as selling a small three bedroom ranch in a suburban neighborhood. There is a certain level of expertise and marketing that’s required to sell a luxury home. In most cases, attempting a for sale by owner is highly discouraged. When selling a luxury home it’s even less likely a successful sale will be had, however, Paul Sian has written a great article which provides some excellent tips for selling a luxury home by owner. Paul discusses the importance of pricing the home properly, where a FSBO should market their home online, and the type of marketing they need to perform to have any chance at a successful by owner sale. If you or someone you know is thinking about selling a luxury home by owner, you must check out Paul’s advice! Before signing on the dotted line of a purchase offer, there are several questions that home buyers should consider asking. Asking the right questions before submitting an offer can save a buyer a lot of time, frustration, and potentially money! Debbie Drummond, a Las Vegas real estate agent, has written another top notch article which discusses what questions home buyers should ask. A question such as, has the property ever had water damage, can help tell the story of the property. Electing to NOT ask the right questions can be a big time mistake made when buying a home. If you’re in the market to buy a home, make sure you check out Debbie’s article to learn 6 very important questions to ask. Round-up posts, such as this one, are awesome! It’s such an effective way to highlight great content in one convenient place. There are dozens of websites where you can write round-up posts to reach an extended audience you may not have on your own website. A perfect example of this being done is from Bill Gassett’s round-up from RealtyTimes. Bill highlights some of the best real estate articles from January & February thus far. This gives Bill an opportunity to share his excellent content to others but also to help promote other writers content as well. In this recap there are article recaps from Luke Skar, Anita Clark, Shelly Moreau, and a few other top real estate writers! This is a great way to build trust and relationships with other content creators! 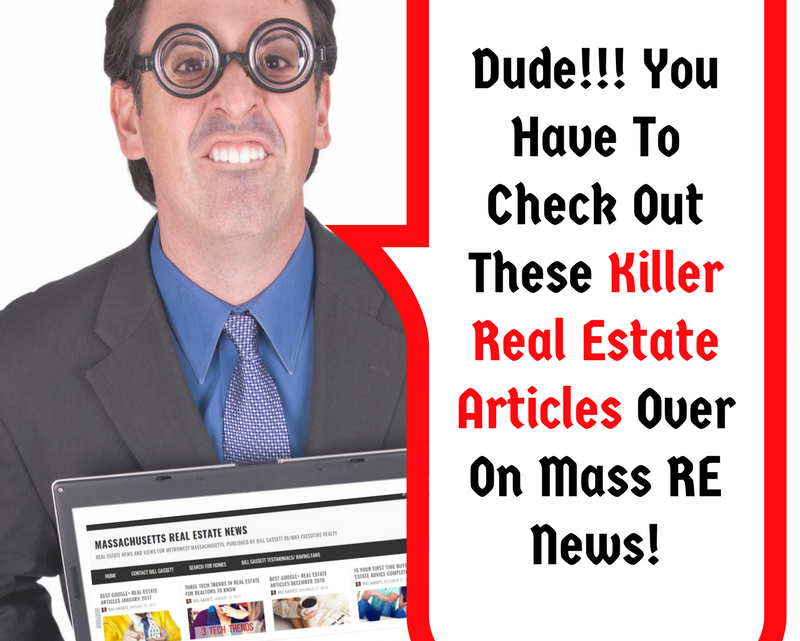 Check it this round-up from Realty Times to see content marketing in action. Buying a new construction home is an exciting time. Buyers are able to pick out their finishes, design their floor plans, and much more when building a new home. There are certain things that should be avoided when buying a new construction home, though. Wendy Weir has written a fantastic article that discusses 20 do’s and don’t s of purchasing a new construction home. As Wendy points out in her article, it’s smart to hire an agent and also ask for a breakdown of the costs for upgrades. She also points out that you don’t discount the importance of timing and the history of the home builder. If you’re considering new construction, you need to check out this great article from Wendy. It may end up potentially saving you money as well as time. To successfully buy a house, there are certain steps that should be followed. For example, did you know that you should research and learn about the buying process well before actually beginning? Also, you should hire a top real estate agent before shopping for houses? By taking the proper steps to buying a house, the probability that it’s successful and enjoyable is greater. In this article from Rochester’s Real Estate Blog, learn about the steps to buying a house. In addition to the detailed explanation of the steps to take when buying a house, you’ll also have access to a detailed info-graphic and video as well. If you’re a regular follower of these monthly round-ups here on Massachusetts Real Estate News, you’ve seen many of the same writers month after month. This isn’t a coincidence. Names such as Luke Skar, Ryan Fitzgerald, Xavier De Buck, and of course Bill Gassett should ring a bell. If you haven’t heard of these great real estate writers, you’re in luck! The folks over at RESAAS published the real estate rock stars from 2016, blogging edition. This article is a recap of the top real estate bloggers from 2016 and somewhere that you can discover links directly to these top writers websites and blogs. I promise, you’ll be impressed by the quality of content that all of these writers put out, article after article! That wraps things up for this months installment of the best of Google+ real estate. Take a look below at previous installments in this series along with some other excellent round-ups. Best Real Estate Articles January-February 2017 via Active Rain. 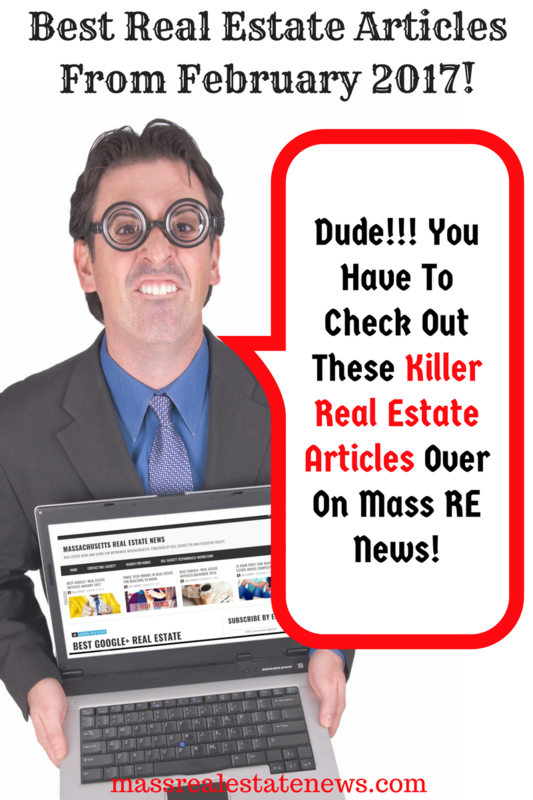 Multiple top real estate blog articles featured via Pearltrees. Best of Google Plus Real Estate December 2016. Take a look at these previous Google+ real estate round-ups loaded with exceptional content from some of the best bloggers around. Kyle Hiscock is a Rochester NY Realtor with RE/MAX Realty Group. He is the founder and owner of his website, Rochester Real Estate Blog, where he frequently publishes helpful real estate related content.